The south east England MEP warned farmers they were ‘deluded’ if they were hoping for access to current markets. Young leaders have been warned to stand-by for ‘extremely high’ tariff walls on agricultural products. 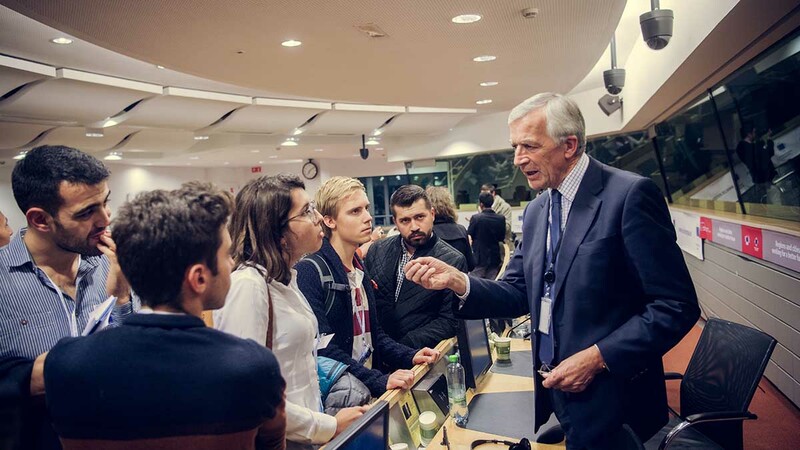 Responding to a question on the impact Brexit would likely have on young farmers at a European Parliament discussion, MEP for south east England and member of the Agriculture and Rural Affairs committee Richard Ashworth warned delegates to let go of the idea they would have continued access to current markets. He said: “At present we are members of the single market and agriculture’s particular beneficiary of that, because some 78 per cent of all British agricultural exports go to the EU27. “So if you finish up as a hard Brexit, do not perceive yourself and allude yourself that you will still have access to those markets and on those terms, because you will not. While the UK was considering dropping tariffs in light of a no deal, tariffs on EU agricultural products would remain. Mr Ashworth also accused Single Farm Payments of failing to deliver value for money and said the next generation should lose any presumption a similar financial support scheme would be available post-2019. He said: “The budget will drive the future and in the UK with a national debt now of £1.8 trillion and the NHS under absolutely severe pressure and infrastructure needing building, why do you think farmers are going to be at the front of the queue to say we want to be subsidised the way we always were?